This live recording from the Doobie Brothers is quite strong. I have reviewed the video of this before, so this is going to focus more on just the individual song performances. Let’s just say, though, that between killer harmonies, great songwriting and exceptional musicianship, you really can’t go wrong with this band. This is a great live album and well worth having. With a smoking hot horn section in the arrangement, they open things up with this classic rocker and it sounds as good as ever. This has never been one of my favorite Doobie Brother tunes, but they deliver a pretty fired up rendition here. I tend to think this song is “just alright.” It’s got some decent guitar sounds, but just isn’t all that strong. This might not be as well known as the two openers, but it’s a powerhouse rocker. This is a strong one for sure. A melodic, slower moving tune, this is a cool number. It’s a great way to slow it down a bit. The delivery here is great and the saxophone solo is a nice touch. There is a real folk rock meets bluegrass element to this cool instrumental tune. Another song with which I wasn’t all that familiar, this is a classy tune. It’s got a real folk rock vibe to it. The slide guitar is nice and the vocal arrangement is noteworthy, too. The saxophone heralds a cool jazz meets space rock kind of instrumental movement. Slide blues guitar is heard as this opens as a bluesy mellow rocker. This is a pretty and fairly short acoustic guitar solo. It makes me think of some of the stuff Steve Howe does. Another with a lot of bluegrass built into it, this is a cool tune, too. It’s not one of the better known pieces, but it’s strong. I love the slide guitar. The saxophone adds to this tune, too. This tune is almost progressive rock. It opens with a mellower movement that holds it for a while. Then it gets more energy and power while still remaining melodic. I love the chiming guitar sound that emerges here and there on this piece. It’s a powerful number and while not an instant classic, one of my favorites here. That picked guitar is amazing. The guitar solo section later has a bit of a Southern rock vibe to it. Definitely more of a bluesy rocker, this is quite a tasty jam. The horn section adds a lot and the smoking hot guitar solo is great, too. Referencing the Allman Brothers here wouldn’t be out of the question. That said, the piano solo (and sax solo that follows) brings it in closer to jazz territory for a time. When they double time it later it definite gets more of a jazz element on display. This energetic Doobies classic gets a great rendition here. I think the guitar solo brings a bit more of a modern (almost fusion) texture to the piece. It is another smoking hot jam that works so well in this live version. There’s a great groove to this number and the vocal arrangement is sweet. The horn section is also a big part of creating a cool party atmosphere. This is great party music overall. 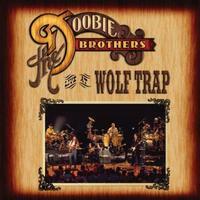 Here is another Doobie Brothers classic. It’s delivered with style. It’s pretty faithful to studio rendition everyone knows. There are great instrumental and vocal moments here and this one of the better cuts in the whole set. By this point in the set, it’s all about faithful and powered up delivery of the hits and this one is well in keeping with that concept. It’s always been a great tune and they do a great version here. Another Doobies hit, it feels to me like they upped the ante a bit here. As good as the song was to begin that says a lot. I definitely don’t remember all the horns on the original version. Starting with just a sea of voices, this Doobies standard is the closing piece here. Not only is that vocal arrangement great, but the picked guitar is tasty, too. The audience claps along and it’s another satisfying live rendition.